After you have defined your distinct brand and clarified your target audience, you are tasked with creating content and messaging that will resonate with your target employer and position you as a competitive candidate for jobs of your choice. I know that résumé writing doesn’t come naturally to most people, even writers and marketers. In fact, a lot of us go to work feeling like we are merely fulfilling our functions and collecting a paycheck for our efforts. We are completely unaware and unawakened to the value we bring to an organization and the greater purpose and impact of our work. 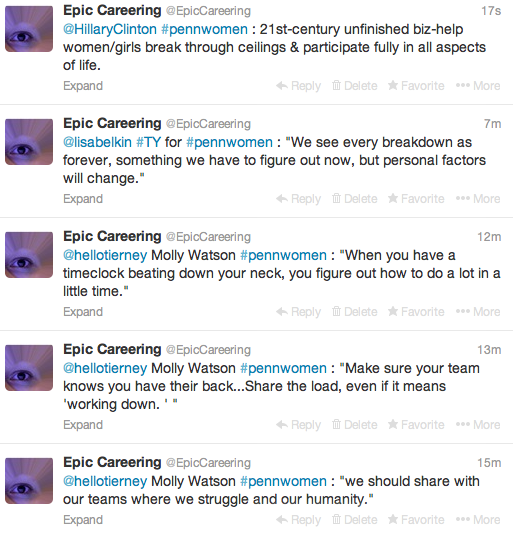 Yet, identifying and articulating this is what will enable you to inspire your next employer to offer you the job. At a minimum, you must set up some context for what you did, and prove that you did it well or better than someone else who might have filled that role. At a maximum, to excite the employer, you want them to be able to easily visualize you succeeding in the role by using an approach and being a personality that meshes with their culture. The impact is the extra step most formulas are missing. Distinct from a result, the impact is what occurs after a job has been done well. 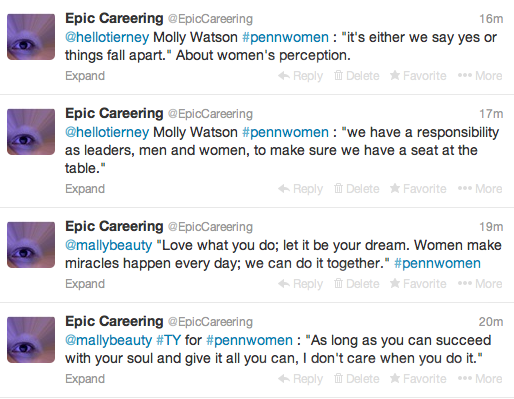 For instance, writing a résumé that my clients completely love is a result. 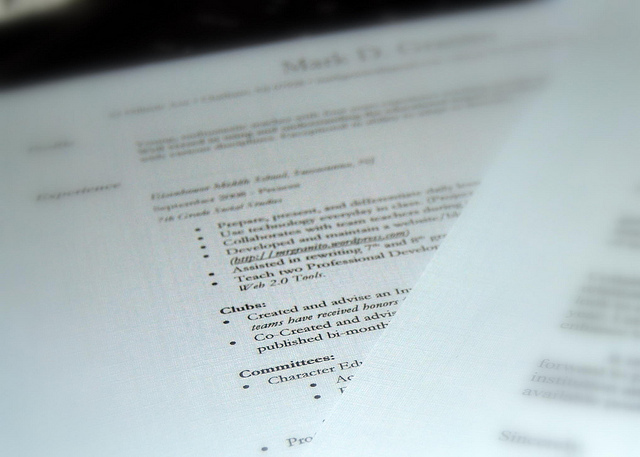 The impact of the résumé done well is that it produces interviews. The impact of an increase in interviews is an increase in confidence and hope. This leads my clients to feel a greater sense of empowerment and control over their professional destiny. I may not include all of these impacts in the résumé, but I would most certainly start with the most immediate impact on my client, and then in my LinkedIn profile go into greater details about the most fulfilling part of doing a job well, which is the trickle down impact and cascade of further positive outcomes. To just get started with the basics, here are some formulas that can help you build the bullets of your résumé and prepare anecdotes that will validate you have the skills to do the job throughout the interview process. Most achievement story templates tend to be two to three paragraphs that fit on one page. They may be included in a portfolio or binder that you bring with you to interviews. However, most people do not easily recollect details buried in paragraphs, and you will not want to read your achievement stories in an interview. At the end of the last formula, we will tell you how to remedy this. Problem/Challenge – This becomes difficult for someone who, say, closes the monthly financial books. Ask yourself, what are the consequences to the business if this job is done poorly? Within the answer you will be able to find the value. It is what you may prevent from happening. Action – What you did, specifically, to resolve the problem or overcome the challenge. Result – The proof that what was done was effective. Result – What was the measurable outcome? How do you know you took the right actions? My formula is not as simple an acronym, and you would not necessarily use all of these components in a bullet in your résumé. Use this formula to lay the foundation of a cohesive story that your résumé, LinkedIn profile, interview and other venues compliment and supplement, building greater and greater excitement. For a résumé intended to be concise, you would pick out the most impressive components, and start to build bullets from the bottom of the formula and work upward. For a LinkedIn profile, you would include more of the backstory and use natural language, versus concise résumé speak. It can be quite a leap from thinking of your job as fulfilling your daily, weekly, monthly duties to seeing clearly the impact that you had on an organization by doing your job well. I recommend that you start with the basic formula. Build it into your résumé to have something effective that will help you present your skills, knowledge and experience. Make sure your LinkedIn profile converts your bullets into a compelling story, and then convert your story into even shorter bullets that will be easy to remember when you network and interview. Then, as you master that, start to expand your awareness of your value and impact. Look past your duties to the reasons you were chosen to do the job, and why your bosses and co-workers should be grateful that you were the one in the position (whether they were actually grateful or not). Fill in the additional details from the advanced formula. Re-craft your bullets and LinkedIn profile. Enhance the achievement story bullets that you have already been recalling with ease with additional details that paint an even more vivid picture of what it looks like to have you in the job. The better your interviewer/future boss can visualize this, the harder it will be for someone else to come in and make a stronger impression. Of course, my clients have every right to keep our relationship confidential, and I completely respect that. If you haven’t landed or come close to an offer three months after engaging me and you took advantage of everything that I proposed (through a formal proposal process), you get your money back. That is my guarantee. Also, smart people engage experts, and the experts will tell you that they got where they are because they engaged other experts to help teach them. Here are four experts who advise that if you want to achieve your goals, don’t spend eight hours doing adequately what an expert can do well in half the time. “The only difference between a rich person and poor person is how they use their time” -Robert Kiyosaki, businessman and author of Rich Dad Poor Dad. “Today is your day to take total control of your future! Everyone needs a great mentor!” -Bill Walsh, business coach, CEO and founder of Powerteam International. “Time well spent results in more money to spend, more money to save, and more time to vacation.” – Zig Ziglar, motivational speaker, salesman and author of Better Than Good. “Effectiveness is doing the things that get you closer to your goals.” -Tim Ferriss entrepreneur, public speaker and author of The 4-Hour Workweek. 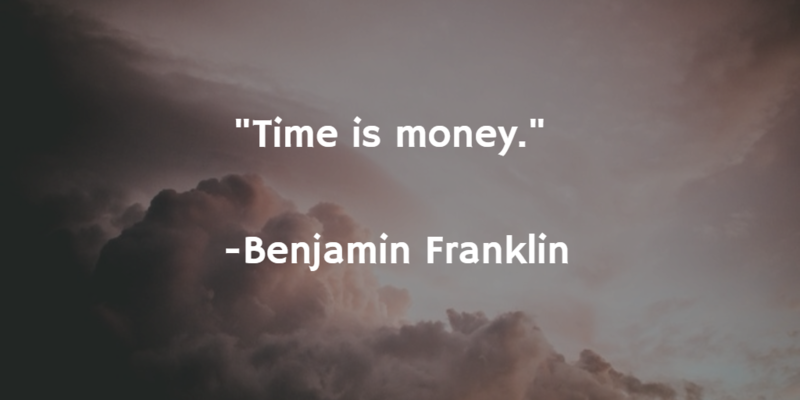 Time is money, especially when you are in transition. Every week you spend unemployed or without a job is another week spent without optimal income. I know that it is scary to spend money when you do not know how long that money will last. But if the money you spend in transition is not increasing your chances of bringing in income in the future, then once it is spent, it is gone. I really do not mind at all if a client wants to take all the credit and keeps me a secret. It is ultimately their wise decision to invest in their success and they were smart enough to choose me. I seem to repeat this almost every day – you cannot be everything to everyone. You can try, but you will eventually fall short in something. It becomes very difficult to maintain the persona of someone who is equally strong in a diverse range of competencies. Even if you land the job (and it may be appealing to smaller companies and start-ups, if that is your TRUE brand), it may not keep you employed when a company feels that your competencies have been misrepresented. It also may hurt future transitions if you have to explain why your former employer may not be a positive reference for you. Branding is the opposite of being everything to everybody. An effective brand distinguishes an individual or a company as having unique qualities that appeal to a particular cross-section of the population or demographic based on their needs or wants, also known as a niche. Companies can execute different branding strategies for different demographics. You might notice that a phone company will air a much different ad on Lifetime than it will on Spike. However, LinkedIn has been very strict about their users only having one profile. As a job seeker, you will actually prolong your job search if you diversify your brand to reach several different employer audiences. For employers, there is greater risk in hiring people who present themselves as the perfect fit for all their needs. In this market, the candidate whose qualifications and motivations can be trusted will be able to compete more effectively for an open position, and their future performance can be more accurately assessed. In order to instill trust, be honest about what your strengths are and what skills you want to develop further. 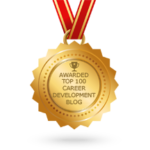 Prominently identify the qualities or skill sets that distinguish you as a top candidate without making assumptions about the caliber of talent the company already represents. Many people recognize that networking is the number one transition activity that helps people get hired. However, even people that network fanatically may not be developing the volume of job leads that they would like. There are two major mistakes I see most people making in networking that prevent them from being able to leverage this activity to generate momentum. It may sound counterintuitive, but not being specific and concise enough for network contacts will actually narrow the number of leads that your network produces for you. Your contacts need to walk away from the conversation understanding how to recognize a good job lead. The chances of your contacts coming across an open position for your job title is so much slimmer than them conversing with someone who has a problem you can solve. 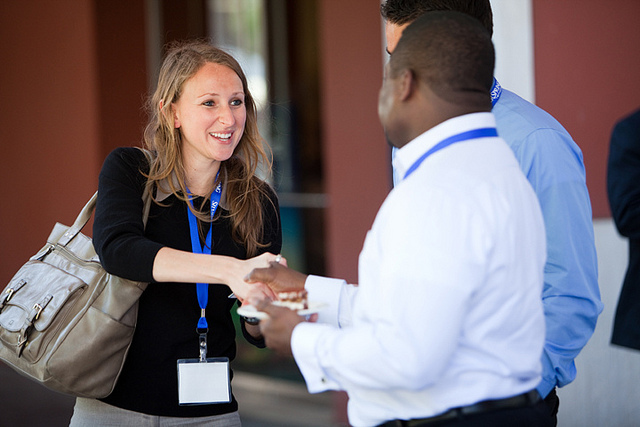 Asking for favors is not the way to inspire people to make powerful introductions for you. A call to action is much more likely to have a positive response when the individual being called upon to act has a clear understanding of the mutual benefits of an introduction. People want to connect you so that they can help both you and their network contacts. Think of network branding as training your contacts to be lead developers for you. Do not use industry lingo if they are not savvy. Do not run down your whole employment history. Tell them what they will remember, such as why companies have hired you in the past and what problems you can solve for a company. Demonstrate the mutual benefit of connecting you to your network’s contacts. I have seen many formulas for 30-second commercials, but Margaret Lynch’s “Captivate From The Start” formula is the most impactful, by far. Though it was designed for coaches, and was a product of training that SHE received as an EFT practitioner, she decided to pass it on to coaches in her tribe, and I must share the concept with you. It starts with understanding the pain of your audience. People are motivated to take action primarily by two things: avoiding future pain and ending current pain, with the more dominant driving force being the latter. As a job seeker, you’ll want to think about why the position you want exists, or why it should (because it might not). What business needs does the position fulfill? When it is not filled, or when it is not filled by the right person, what pain results, and for whom? What are the costs of this job not being done well? Let your network contacts know who would be impacted, and that is a sign to them as to whom an introduction would be beneficial. Tell them two or three things that your target would experience that would be a sign that they have needs you can fulfill, and then give them an idea of the results you can bring about for them. I help business leaders and engineering teams who have difficulties launching on time because they are not agreeing on product specifications that understand each other and the customer needs, so that products are launched with minimal bugs, with as little time and budget as possible, and with the highest satisfaction ratings possible. It seems like a mouthful, but would you be able to find a lead for this professional? To turn this 30-second commercial into a 60-second commercial, think about why you are the right person to fill this position. What evidence do you have to present that proves that, among people with similar qualifications, you add something uniquely valuable that will make the resolution of the pain faster, greater, or more pleasant? What was one major problem you resolved for one major initiative that you were pivotal in making successful? Once you get the lead and someone encourages you to contact a VIP in his or her network, follow up, even if the opportunity does not seem like it is a fit. Be forthcoming if that is the case, and always offer to be a resource to your network and the network they make available to you. Of course, not everyone learns audibly, so it is wise to have something you can leave behind, whether it is a business card that has comparable information on it, or, even better, a one page networking profile. These are becoming more standard for executive networking groups, and yet I find them to be not much more interesting than a résumé for the average reader. People crave speedy, visual information. Not only do infographics make information easier to understand, and more fun to read and share, but they make it more memorable. If you really want to wow your contacts, give them something they will be excited to show their contacts and engage us to create your one page networking infographic. Words are the most powerful force we have as a species. By changing what you say in your networking conversations, you will multiply the number of opportunities that people send your way. Furthermore, these opportunities may not look exactly like job openings that thousands of other people are vying to fill. They will most likely more often look like people who need you and are eager to find out how you can ease their pain. In turn, your pain will be relieved. Interviewing will be more productive and more fun, and will more likely result in a job offer. The job offers you receive are more likely to be for positions that fully utilize your talents and experience. Because you will have the leverage of having a solution to an immediate need, negotiating will be that much easier and more successful. Use this formula to lubricate the tracks to success and accelerate toward a successful job landing. Wouldn’t it be marvelous if you had more time in the day to accomplish all of your tasks so you could enjoy life more often? 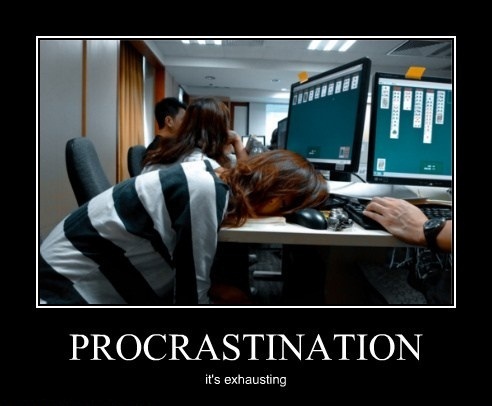 Procrastination is one major roadblock to completing tasks. About 20% of adults reported being chronic procrastinators, while 95% of people admit to being occasional procrastinators. The causes of procrastination are complex and numerous. The time hacks shared here are a way to overcome procrastination and will allow you to accomplish the important tasks in your life, so you can spend more time doing the things you love. The weight of putting off important tasks robs you of energy as you stress over the inability to focus on completing those tasks. Micro-movements: Author Susan Ariel Rainbow Kennedy, better known as SARK, coined the term in her book Make Your Creative Dreams Real. According to SARK, micro-movements are a way to break down overwhelming tasks into much smaller tasks that take as little as five seconds or up to five minutes. Breaking down a daunting task into smaller steps makes it easier to accomplish. Author Allyson Lewis suggests a similar approach in her book, The Seven Minute Difference. Lewis argues that spending seven minutes on small actions, or micro-actions, can lead to amazing changes. In short, small movements serve as a way to accomplish large tasks bit by bit and to build momentum. Activation energy: Activation energy is a term Mel Robbins, an author and motivational speaker, described in her TED Talk. It is the force or effort required to switch from auto-pilot, driven by your habits, to doing something new so that you can create something new in your life. According to Robbins, change does not come naturally, so you must force yourself to change. It is taking action within five seconds of an impulse. If you do not act within five seconds, your mind ultimately “screws you,” and the motivation to do something is lost. By practicing the five-second rule and tapping into activation energy, you will discover the motivation to accomplish more tasks. Batching time: When you batch tasks together, you to get into a grove and accomplish more in less time. 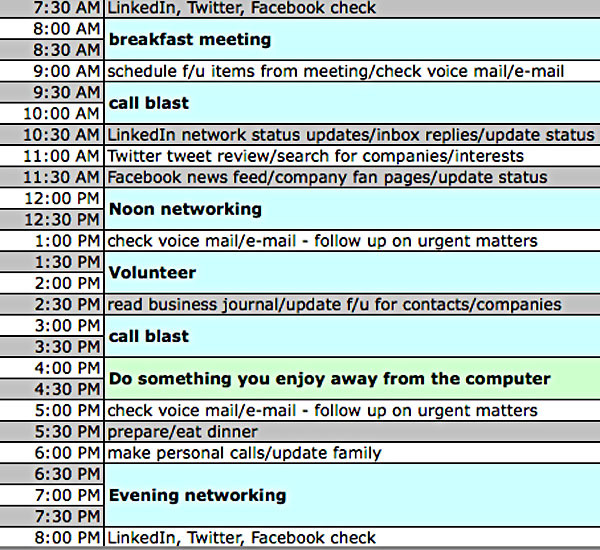 Batching time is a favorite method of author Tim Ferriss (The 4-Hour Work Week). Ferris also proposes that when we allocate less time to a task, we take less time to complete the task. The reverse is also true. An effective strategy is to give yourself an early deadline. For example, if you have a project due on Friday, make Thursday your personal deadline. Bill Walsh, America’s Small Business Coach, recommends you make a list of the ten things that will move you forward faster toward your goal every night to complete the next morning before 10 AM. This list consists of strategic (important, non-urgent) items. Then wake up as early as needed to complete these ten items before 10 AM. The Four Quadrants of Time Management: Stephen Covey, a self-help and business literature author, famous for his book The Seven Habits of Highly Effective People, introduced the idea of using four quadrants to determine the priority of a task. The tasks within the quadrant allow you to determine if a task needs to be completed immediately or scheduled for later. 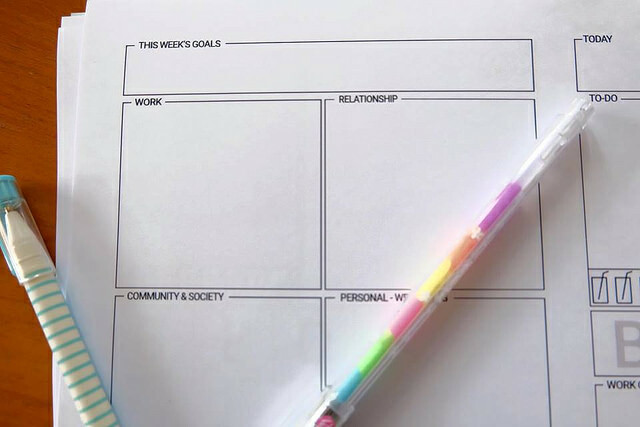 The quadrants allow you to question if doing an activity will bring you closer to your goals and how to prioritize your time. Our Time and Resource Allocation Tool: There is a saying in corporate America—you can’t manage what you can’t measure; you can’t measure what you don’t track. You might have heard to treat your job search like your job, which some people interpret to mean wake up at the same time as your work day and search for 40 hours per week, but that is not really the best application of that advice. How we advise you to apply that advice it is to make sure that your performance is producing results. Manage your time to become increasingly efficient because once you start to build momentum, you are busy meeting with more people who are able to open doors of opportunity. There are a lot of people and follow up actions you will want to stay on top of to maintain and leverage that momentum. The Pareto principle (the 80/20 rule) is a theory maintaining that 80% of the output from a given system is determined by 20% of the input. This principle is always at work, and we have found it true with job searches as well. 80% of job seekers are spending 80% of their time on the resources that produce 20% of the results, IF THAT! Our tool helps you flip the results so that you spend 80% of your time on the resources that produce 80% of the results. Not only are job seekers who use our tool producing better momentum, they are cutting their “job search work week” down, enjoying more of their time, which as a by-product actually helps steamroll momentum even further. Within two weeks of learning how to use the tool, they are realizing much better time management and starting to form better habits. Their confidence soars, they feel more in control of their destiny, they perform better in interviews, they can afford to hold out for the RIGHT offer, and feel bold enough to negotiate an even higher offer. 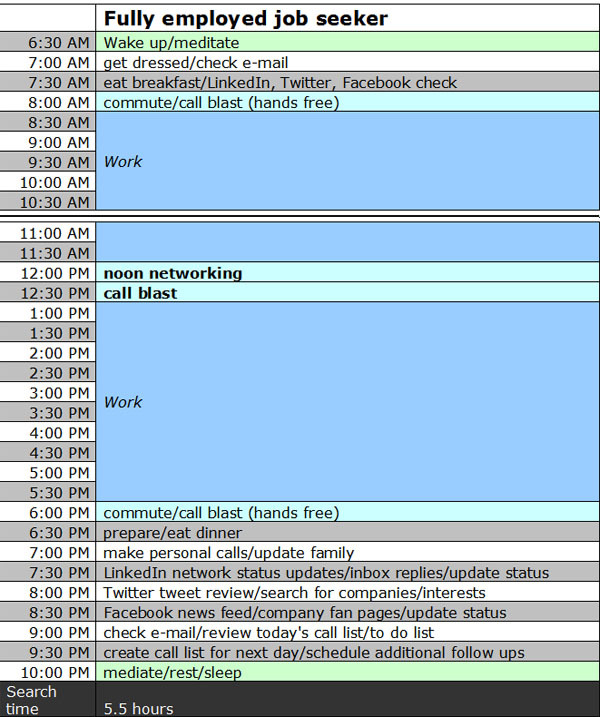 Just imagine what overcoming procrastination and effectively managing your time looks like. It is a sense of accomplishment, a feeling that you have done enough, that you are successful enough to allow yourself to REALLY enjoy your life. The truth is we are never really DONE with our to-dos. However, time hacks help manage the most significant tasks, so they do not completely absorb your time and energy, allowing you more room for joy and fun. Girl power = human power! @JudgeGHatchett #pennwomen when you get torn pages in life’s books, write your own story- the world needs it! Shake things up. Be creative about how you structure your life. Abandon fear of what the world will think of you. Blood-shot eyes = the way leadership looks sometimes. It’s okay that men can work as hard as they need to work to be as successful as they can be, but it’s not okay for women to do the same. There is still extreme gender bias to work through in this area. Advice to millenials – Figure out a skill that you can teach yourself to make yourself marketable. This way, you have the financial power to say “no” and dictate your own terms to your life. Children do not choose the families and communities in which they are born, but they are US citizens, and that gives them the right to a productive life and a quality education. Women of clout have power, influence to inspire all of us to make an investment in education. 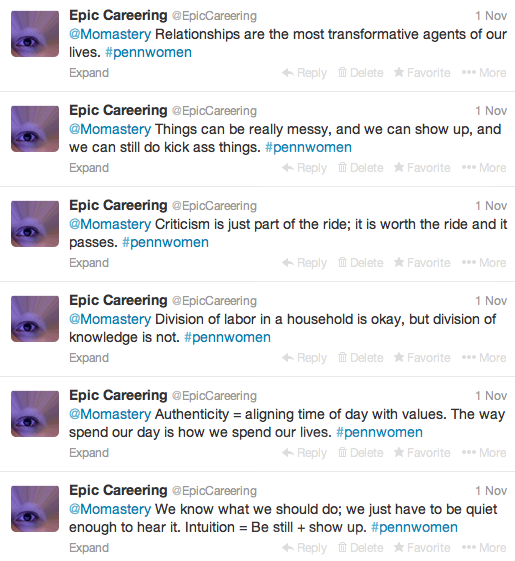 This may still be cluttered to some, but it is zen-inspiring to me. No, I didn’t have another baby. I spent my holiday fighting dust balls and licking paper cuts. After 3 years of compiling papers and collecting nonsense in my office, I “clean sweeped” (I know it’s swept, but it doesn’t sound right in this context.) There were literally 60 lbs. of paper and other junk purged from my house. I have two big boxes of great fall clothes to sell on e-bay, donate or turn into crafts. I know where everything is in my office. What is most important is most prevalent and within easy reach. The adjustment to working from home with my babies, who are now grown up enough to know when the house is messy, happened very slowly. While I expanded my roles as primary caretaker and entrepreneur, some of my other priorities and values were placed aside. I justified that it was what I had to do because of the choice I made to stay home and work, but in the meantime, crap accumulated and inhibited my growth. That’s where I was; I had no more room to grow because I had no room in my home and most sacred space. 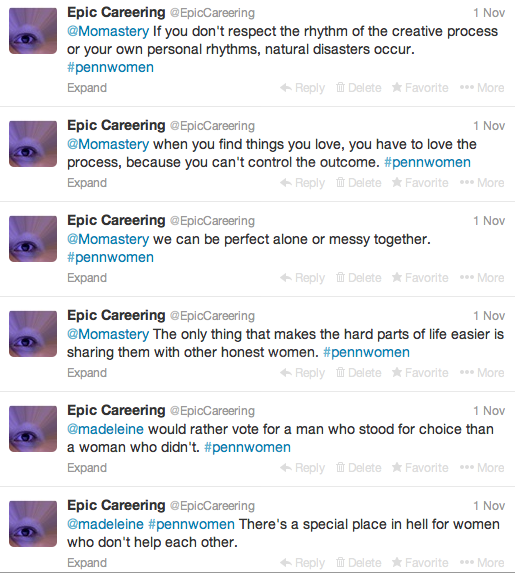 The choice I made was no longer empowering; it was an abyss. While I continued to learn more and teach clients about efficiency, time management, resource management, etc., I was ignoring fundamental best practices of success – simplicity of organization and accessibility of information. Especially because I do so much on my computer, where it seems everything is at my fingertips, these fundamentals were easy to ignore for so long. Until, enter financial advisor and partner Brian Brogan. While he has been here at our house, he never new we had an office because the door stayed shut when there were visitors. We even kept the vent closed so as to not heat or air condition it. It was, essentially, a junk room. 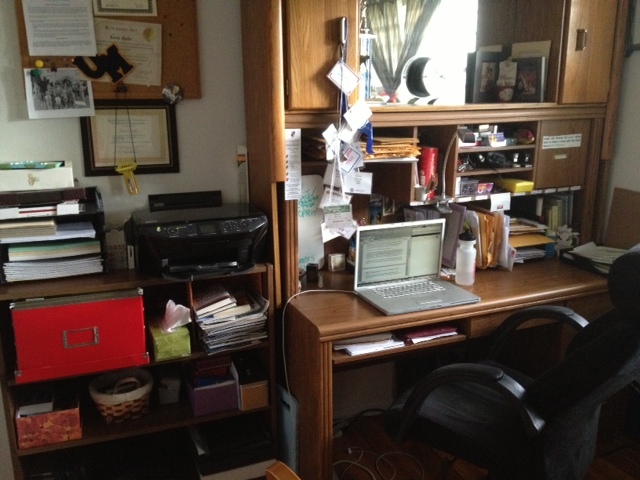 After reading some of The Seven Minute Difference: Small Steps to Big Changes, by Allyson Lewis, I had started to make a little progress on my office. I sorted unopened envelopes one day. Then another day I opened them. Then another day I took out any files older than 2009 to make room for the newer files. Then, I left the office alone for a week. I avoided it. What happened? If my house were a factory, I think they would call it a bottleneck. I needed to renew my car registration, but I couldn’t find the form. I had to make a return, but I couldn’t find a receipt. The CPRW (Certified Professional Résumé Writer) certification exams that I am supposed to grad within 2 weeks piled up for a month. ssential functions took 10 times longer than they should have. I was wasting time looking for things, feeling like a hot mess, and my temper and patience were getting short. Friday I had a gentleman tell me that I wasn’t able to listen to him. I didn’t even realize it, but I kept interrupting him. Instead of listening compassionately first, then advising appropriately, I was defensive and curt. This was impacting more than just tasks – my credibility with peers, my authority with my kids and my ability to effectively coach were hampered. Enough – I had to do the work. 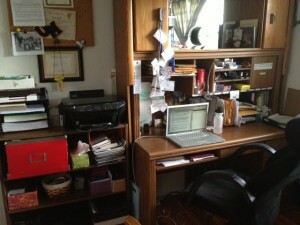 The clutter had to be confronted, and so did my feelings about the clutter. With the exception of a break to have tea with my husband, make princess hats with my daughters, and hit up a local playground where we could all get a workout in, I pounded away – from breakfast to 2 or 3 in the morning. I finished at 4:30 Tuesday morning. The process, while tiring, was cathartic. What Brian said was reverberating in my brain and I thought very consciously about where I placed things based on how important I wanted them to be. Even choosing what size folder to attribute to a project made me process what amount of time I was committing to dedicate to that project. Once it was done, I didn’t care anymore that I didn’t get to go the shore or the Poconos or that I didn’t see any concerts or even go out to eat. I had forgotten how much I value organization. For a while, I had been wishing I could just hire someone to find a place for everything, but I couldn’t wait for that to happen. One thought leader I follow, I can’t remember which or perhaps it is all of them, says that people take action when they are sick and tired of being sick and tired. Why is that? Why did I have to let it get to that point? Even though the disorganization was certainly having an impact on my family and me, I waited until other people were being impacted by my disorganized house before I resolved to get it cleaned up for good. I resolve now to be proactive in keeping order in my house, in my office and in my mind. Have you ever been sick and tired of being sick and tired? Are you waiting until to feel this way to take action?